"FLIGHT 2000 (Stern) Rubber Kit WHITE" has been added to your cart. 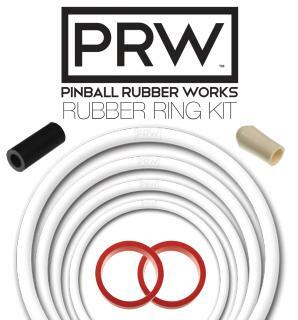 This is the 37 piece white rubber ring set for Stern FLIGHT 2000 pinball machine. The kit includes white O-rings, ball shooter tip, red flipper rubber and playfield rubber placement diagram.